No one was sure how Queensberry Water would fish, with the carp in full spawning mode over the last two days, but none the less, some decent catches were made, although bites were difficult to string together. 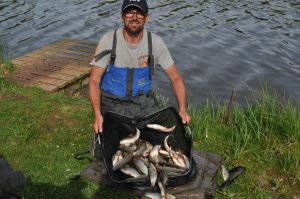 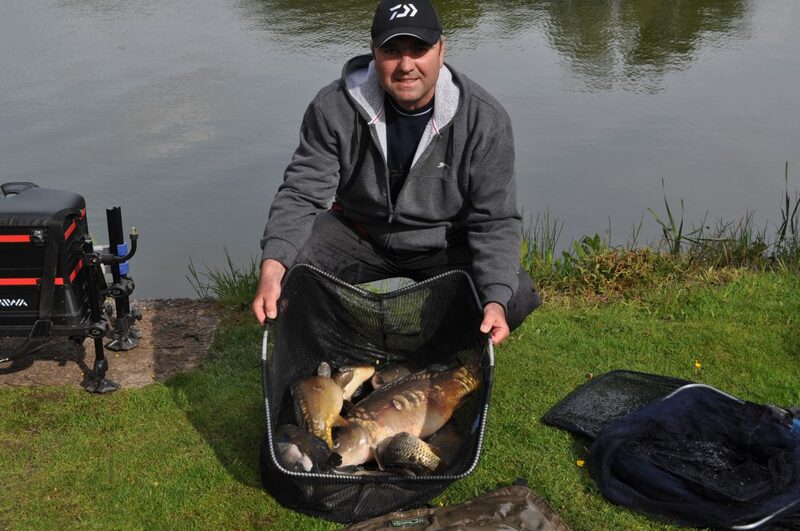 Jeff Whittle took full advantage of empty peg 20, fishing from peg 19 towards the bridge, he landed 33lbs of carp and 12lbs of skimmers to give him a section winning 45lb +. 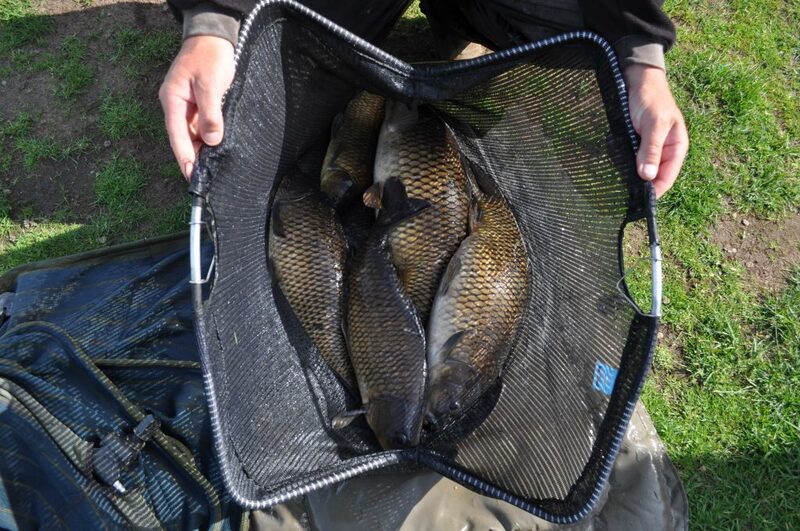 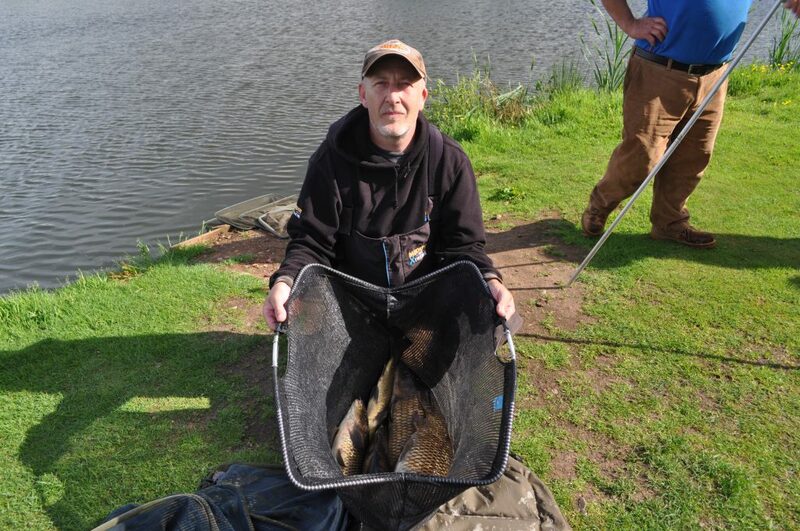 Tim Gustard drew end peg 28, also the Golden Peg, weighing in 39lb + of carp on method feeder to earn him 2nd place, but 8 lost carp cost him dearly..! Ian Hickson (3rd) with 33lb 14oz, and Ian Whitson (4th) with 32lb 10oz provided some decent back up weights. A nice dry day, wind gusting up to 20mph. 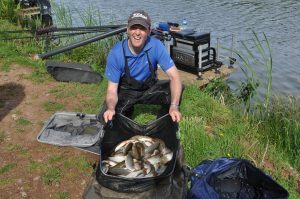 Wallace Lake threw up a cracking section today with some very close weights, and some very good nets of silvers, ide dominating the match yet again. 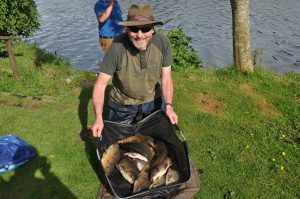 David McAuley came out on top, winning his section and the overall match with a superb 60lb 8oz net of silvers ( and one carp.) 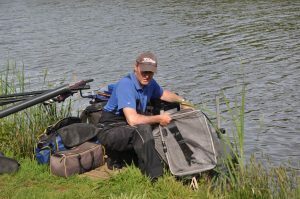 , fishing maggot on pole. 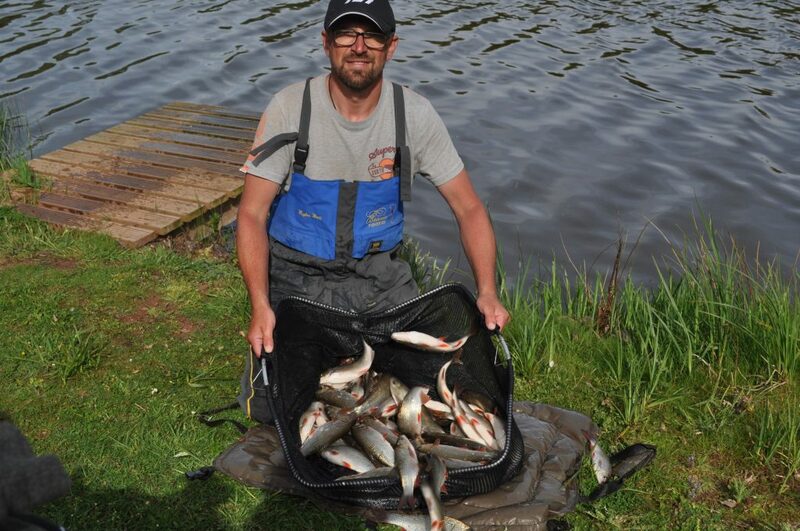 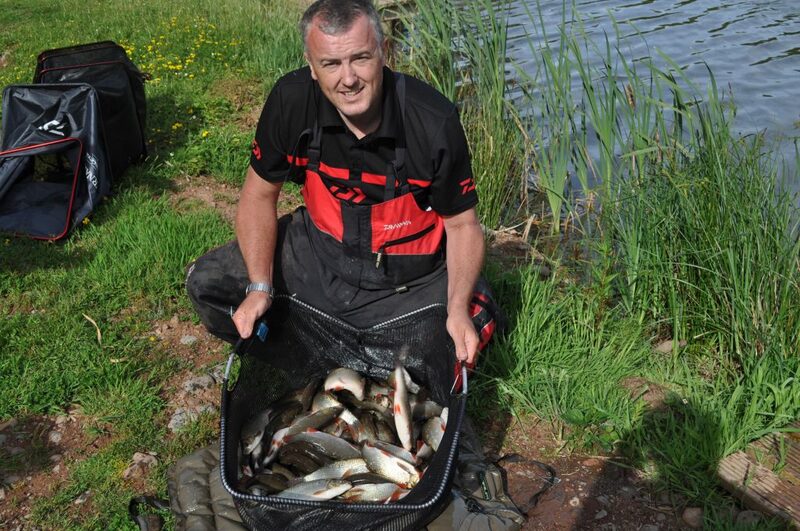 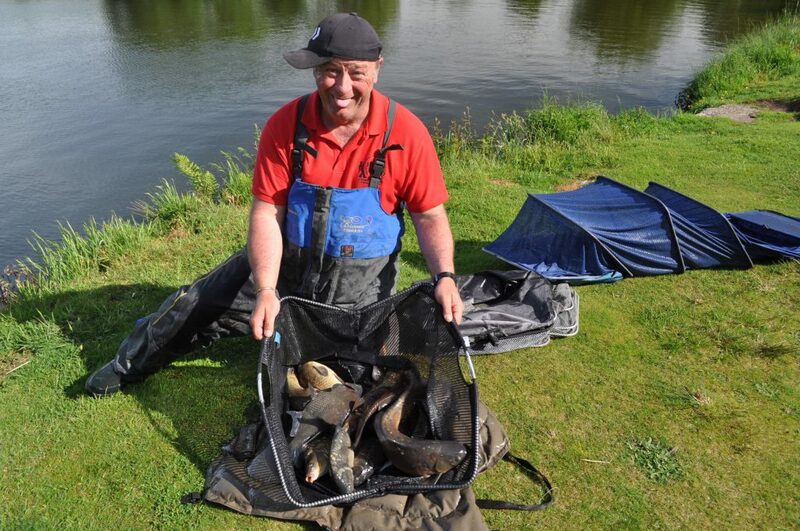 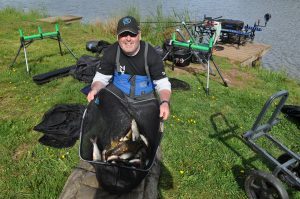 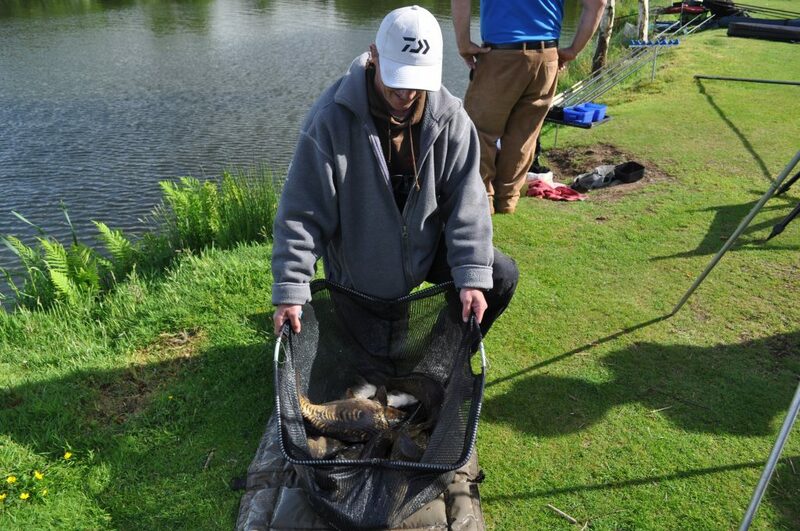 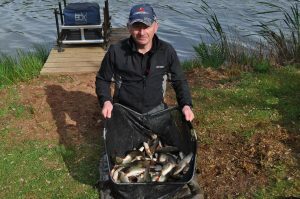 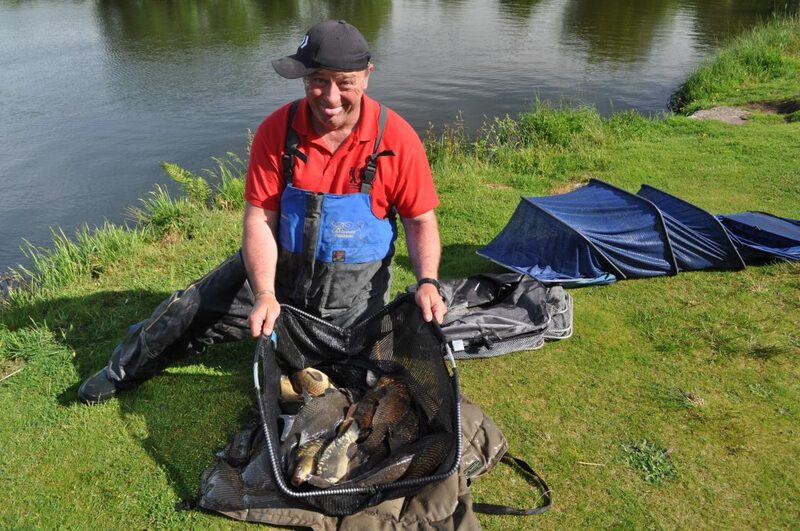 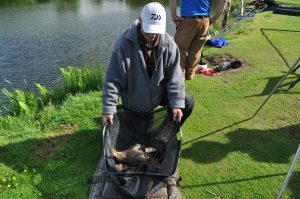 Steve Royle was very close behind finishing 2nd with 59lb, which included 18 small carp, 8 on method feeder, 10 on pole. 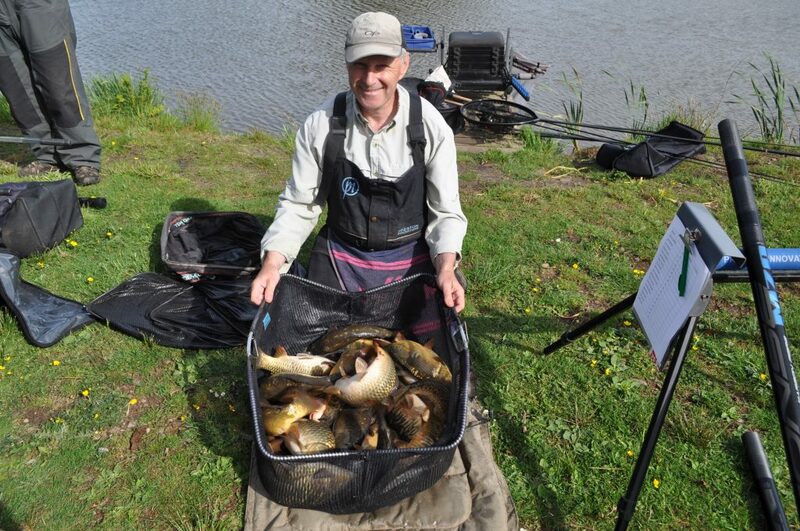 Mark Clow finished a very respectable 3rd with 51lbs of silvers, and David Mcgregor 4th with 49lbs of silvers, it doesn’t get much closer than that. !